Remember: Press F11 for a full screen view of this page.
" Scotland - 7 - Achiltibuie to Home "
Date & start time: Friday 19th - Saturday 20th May 20107. 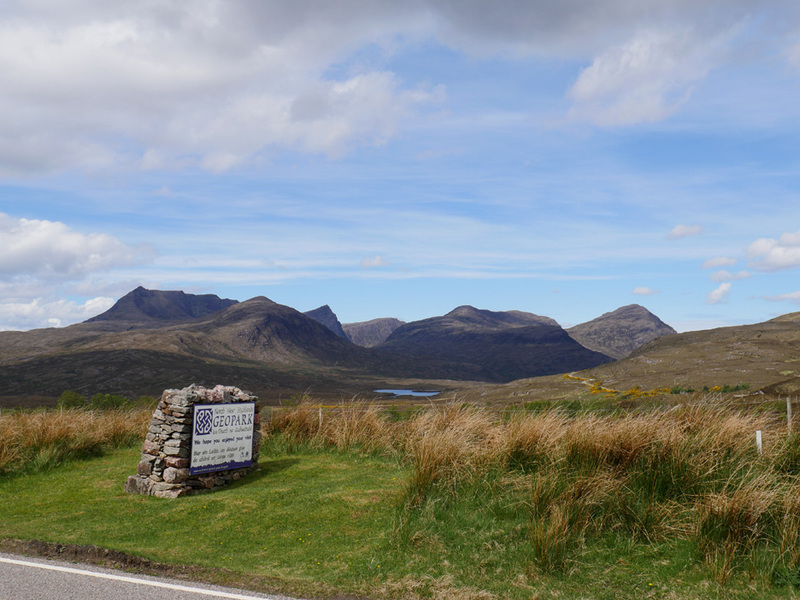 Location of Start : Achiltibuie on the north west coast of Scotland. 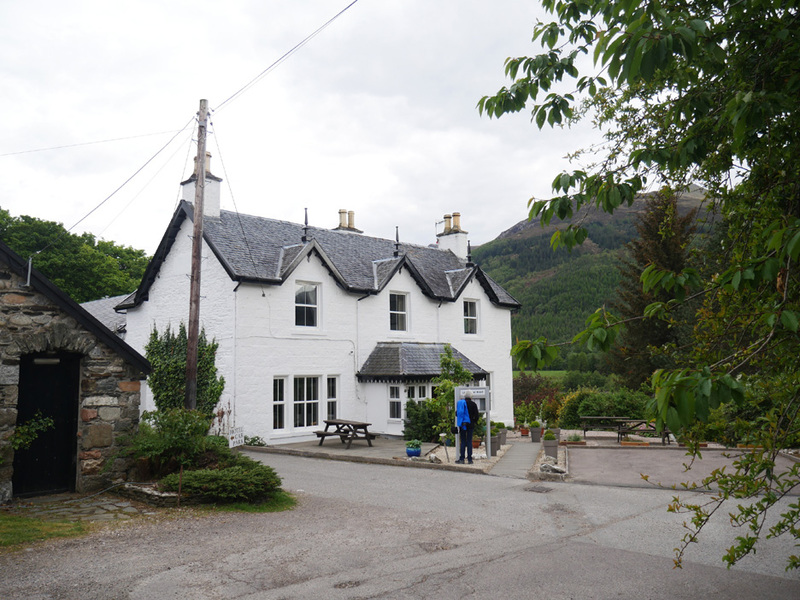 Stayed at : Loch Leven Hotel, Ballachulish near Fort William. 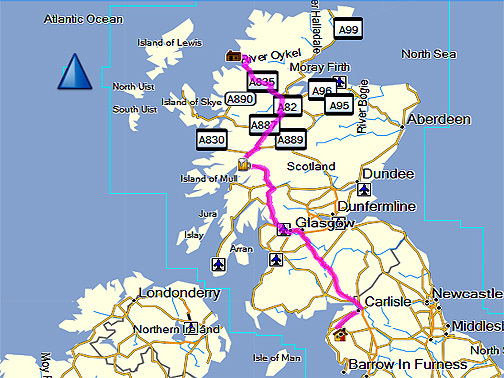 Places visited : Ullapool, Falls of Measach, The Great Glen, Ballachulish and then home. With : Ann and our dogs, Harry and Dylan. 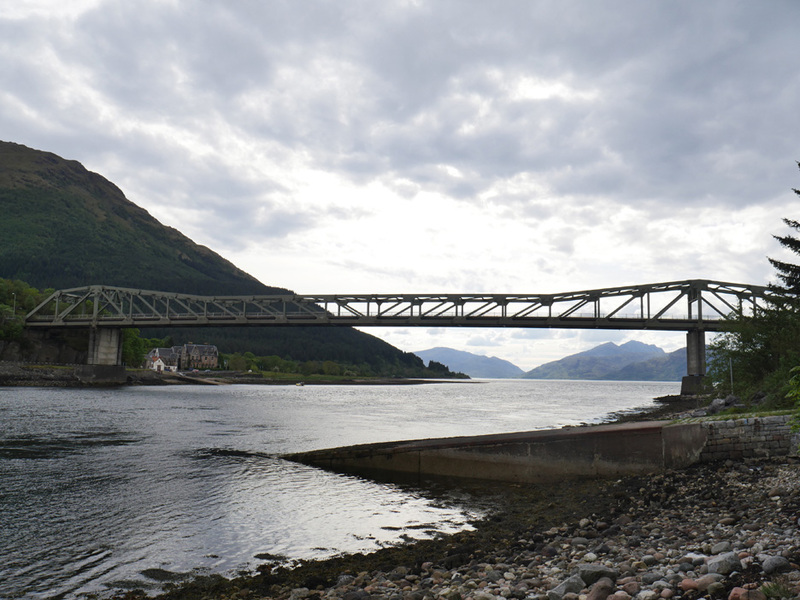 Weather : A sunny Friday but a wet Saturday morning drive home from Ballachulish. © Crown copyright. All rights reserved. Licence number PU 100034184.
but it has been a good week and there's some lovely views to enjoy on our way south. 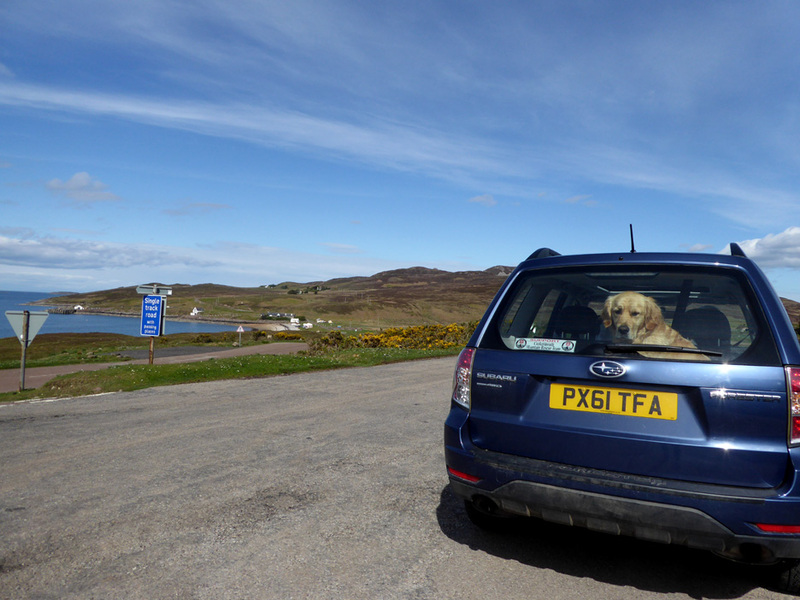 We say goodbye to Achiltibuie and head home. The journey will be about nine hours so we'll take it easy and stop half way . . . 'cos we're still on holiday ! Polbain village is behind us and the hills we climbed yesterday are on the skyline. instead of dropping it at the green recycling bin at the top of the drive . . . put it down to a senior moment Dylan. 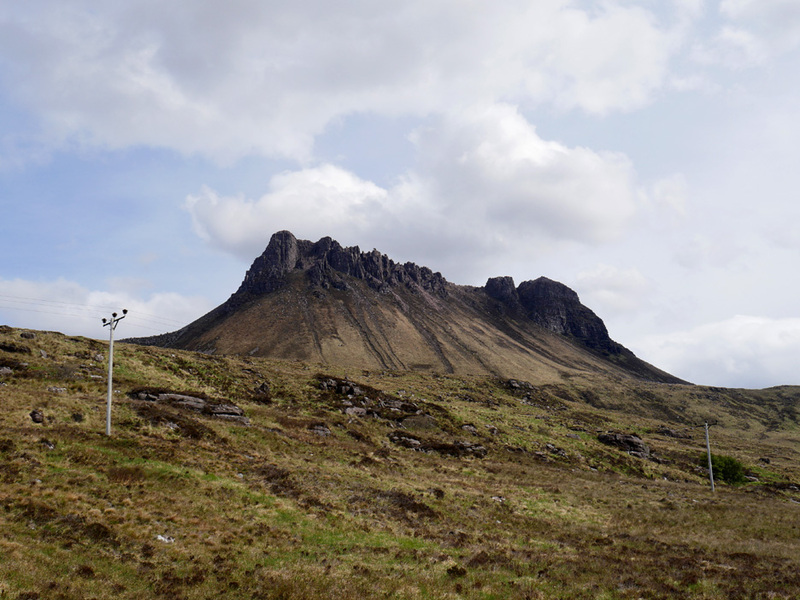 Landmarks come and go as we drive past Stac Pollaidh. 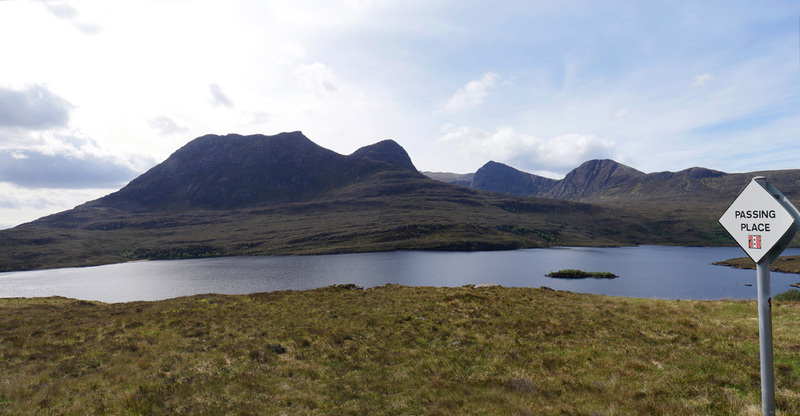 Looking across to the Ben Mor Coigach mountains from the road alongside Loch Lurgainn. Out onto the main road and one last look at the mountain ranges from afar. 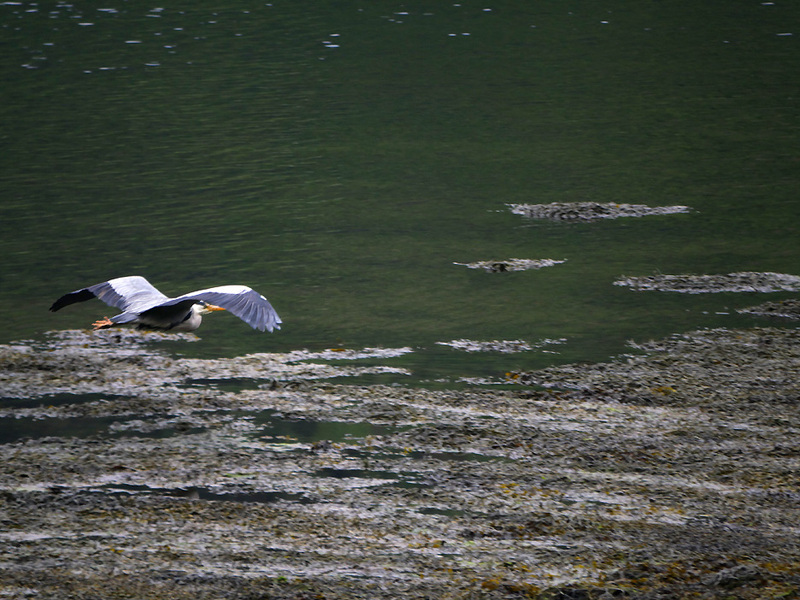 This area has been awarded "Unesco Geopark" status because of the interesting geology in the surrounding landscape. 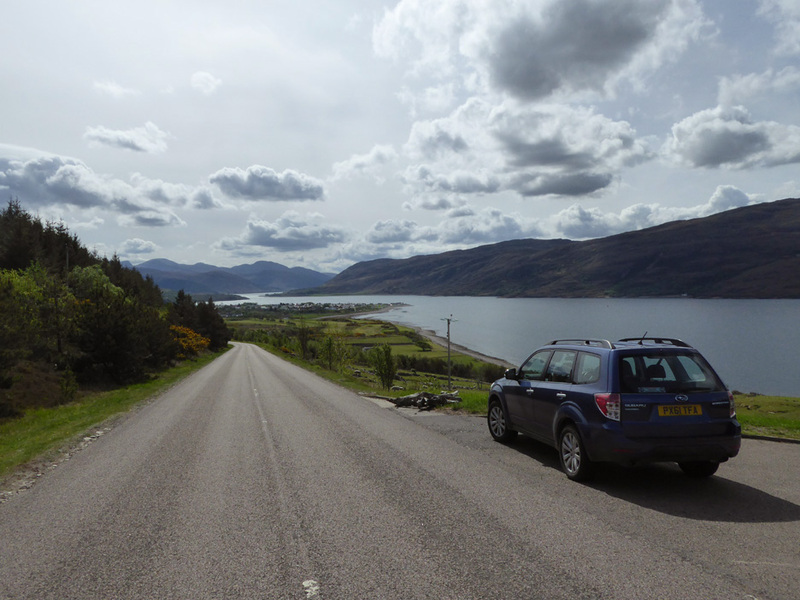 We've left our last single track road behind and head down towards Loch Broom once again. 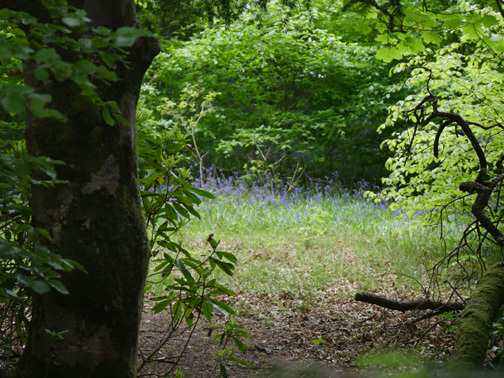 This is the view as we sweep down the hill towards Ardmair. Ullapool ahead and beyond it, the top (inland) end of the loch. 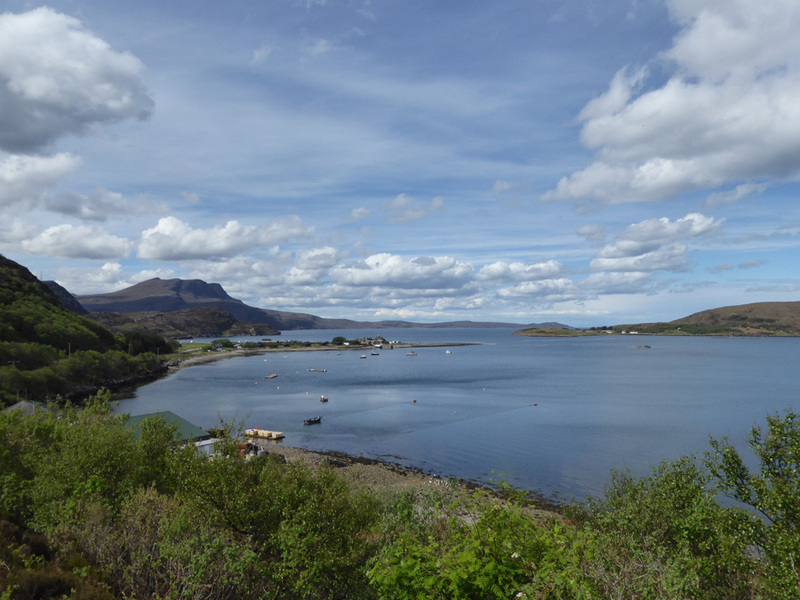 Ullapool was founded in 1788 as a herring port by the British Fisheries Society. 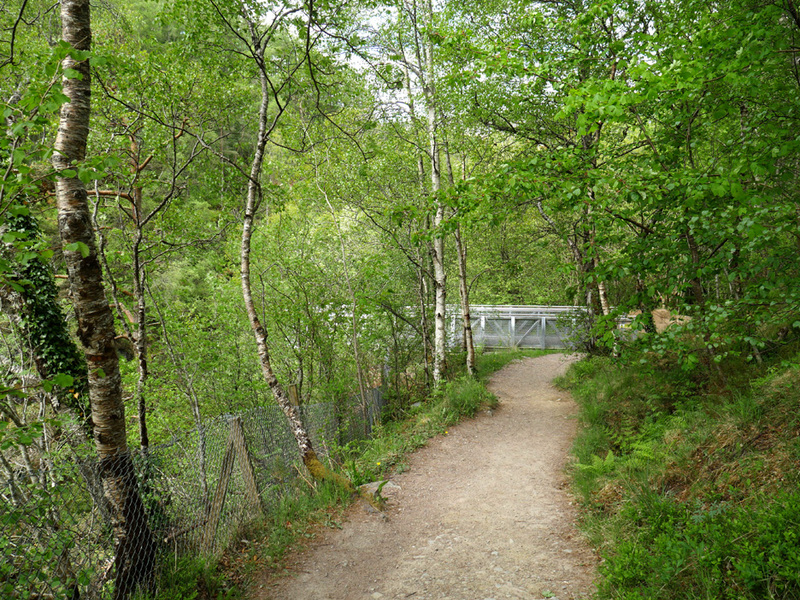 The layout was designed by Thomas Telford. The harbour remains the centre of the village, which is still used as a fishing port, yachting haven, and ferry port for Stornaway. 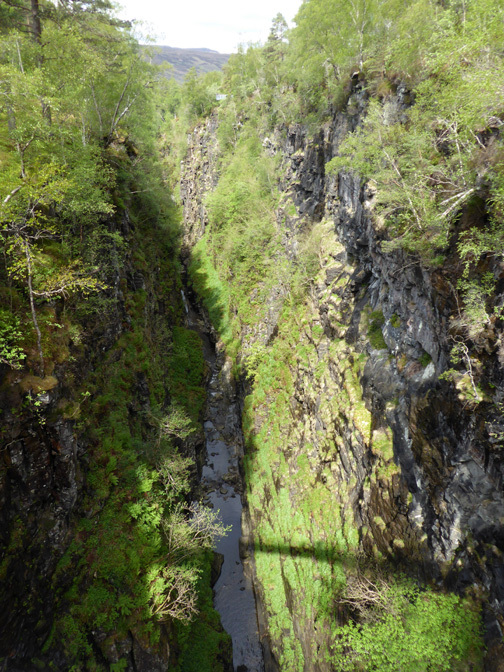 At the head of the valley there's a gorge where the ancient glacial rivers have carved out a deep, mile-long box ravine. and joint chief engineer on the iconic Forth Railway Bridge. 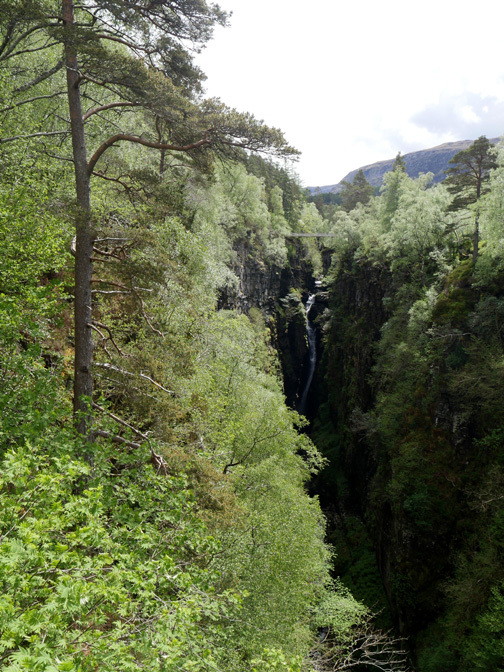 It provides a spectacular viewpoint for the falls. 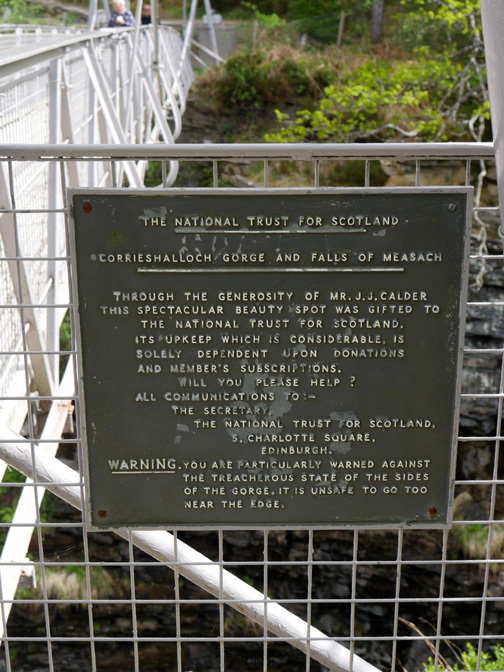 A certain Mr J.J. Calder and family donated it to the National Trust for Scotland who are now responsible for its maintenance. 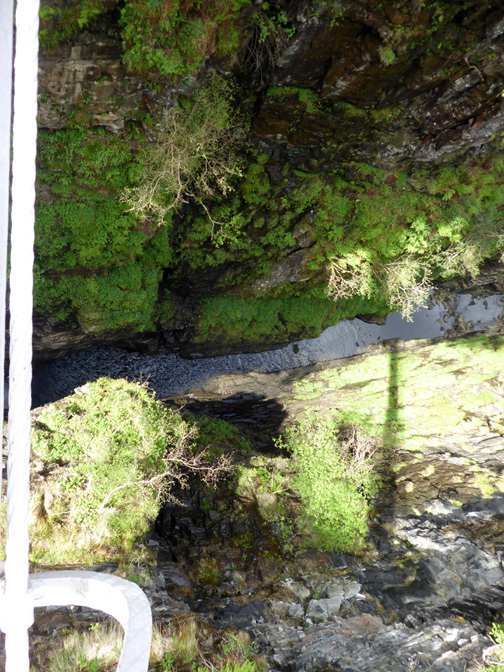 The information sign by the bridge . . .
. . . and looking some 200 feet (60 metres) down into the gorge. Above the bridge we can just see the full extend of the waterfall (left). formed by the ancient glacial river . . . hold on to your hat ! 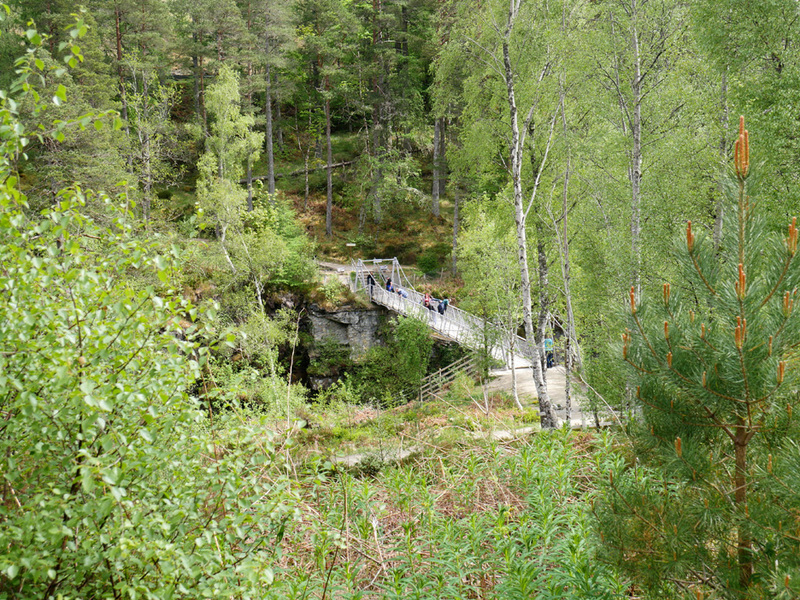 A short walk down the opposite side of the valley brought us out at a new viewpoint cantilever. 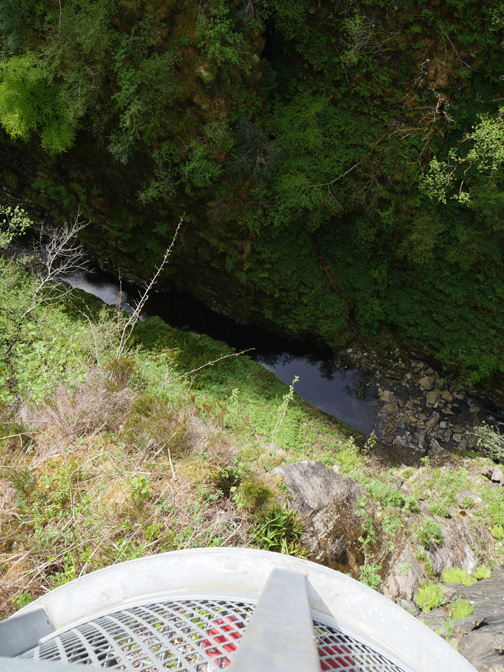 From here we had another superb view of the falls . . .
. . . it's still a massive 200ft straight down ! before we arrived at tonight's destination. 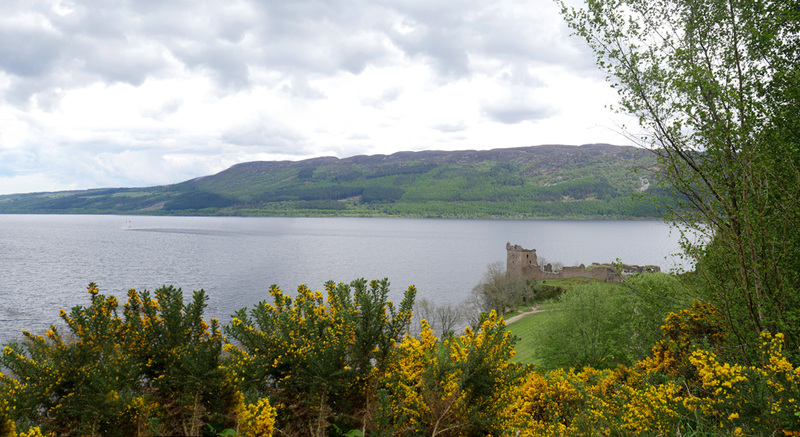 and then south west down the Great Glen. coloured (possibly a Navy) boat. This was the old ferry hotel and re-branded itself as a tourist destination in the 1970's once the bridge had been built. 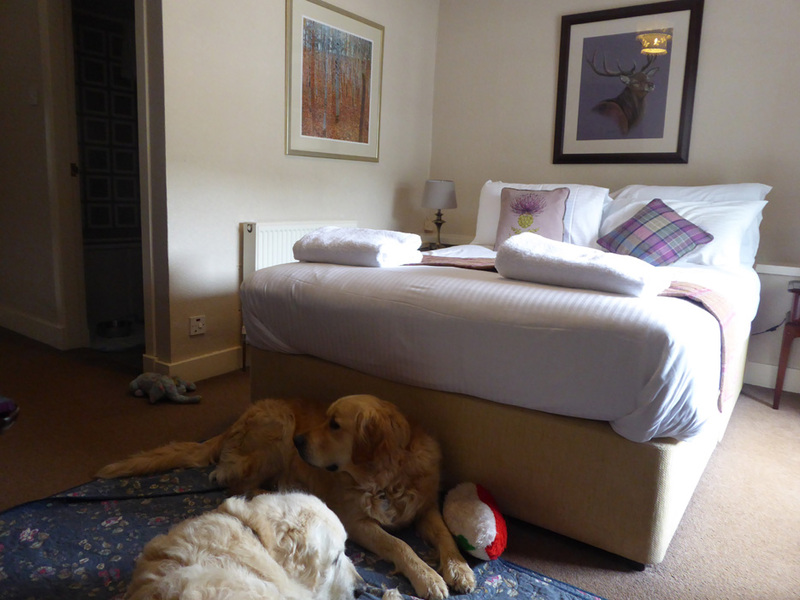 It is dog-friendly, offers good food and accommodation, is convenient and welcoming . . . so what more do you want ! After settling in, we had time for a walk before our evening meal. In front is the old ferry slipway. In the 1960's the crossing was run by 3 turntable ferries, each capable of carrying 6 cars. Our walk this late afternoon would be up to Bishop's Pool using the footpath which starts at the jetty. 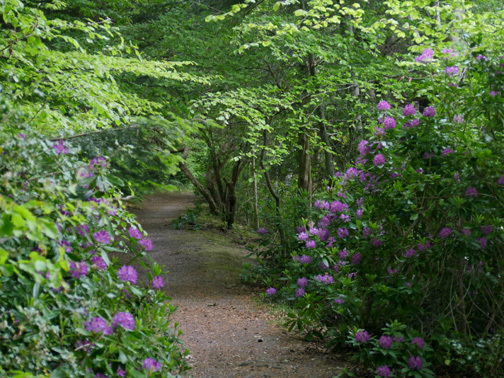 The path follows the loch side . . .
. . . up through some lovely woodland. 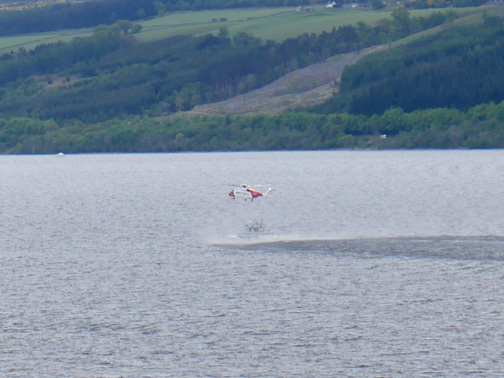 Suddenly the loch opens out and offers a secure and sheltered mooring to a large number of sailing yachts. 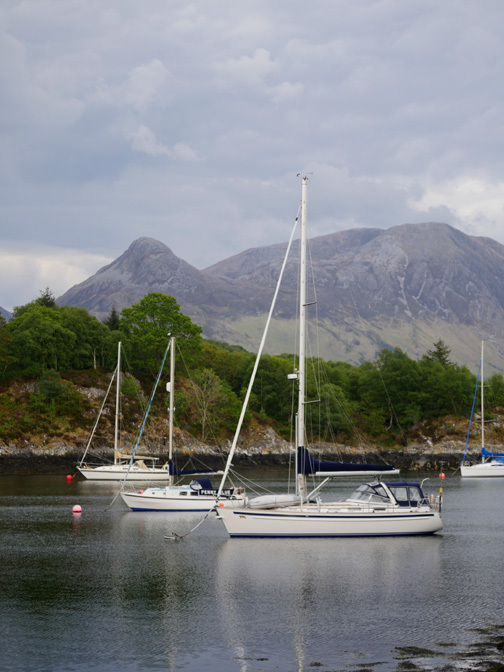 Behind them, the Pap of Glencoe and the Aonach Eagach Ridge. A large chalet overlooks the pool. It has acquired an interesting new summer house since our last visit. 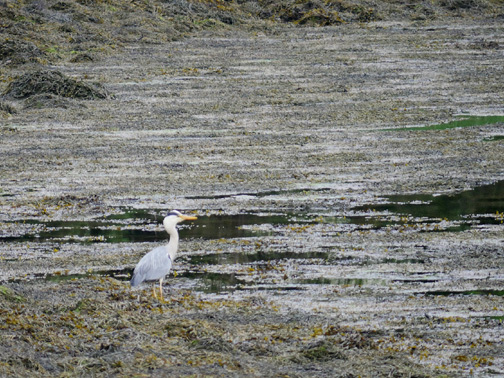 In amongst the kelp stands a Grey Heron . . .
. . . which takes flight as we pass by. 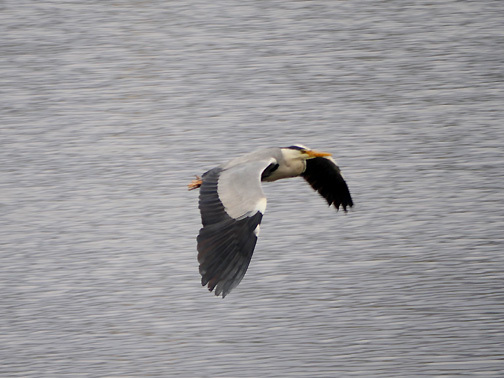 Cruising on the wing to pastures new. 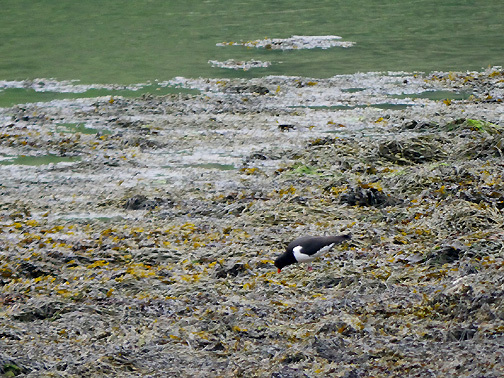 An Oystercatcher gives a distinctive call. 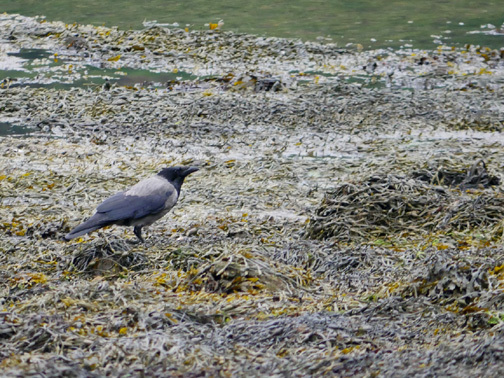 A Hooded Crow . . . a particularly Celtic bird. 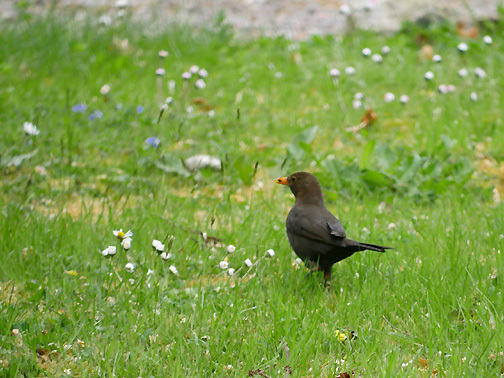 A Ring Ouzel . 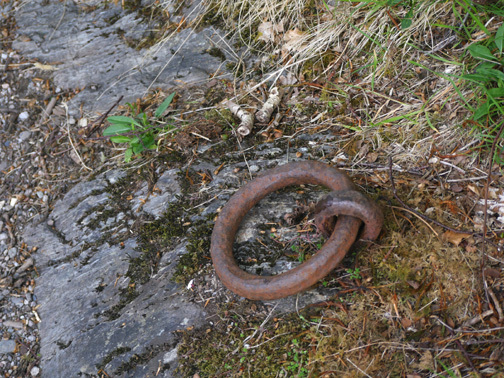 . . not really, it's a mooring ring on the rock. 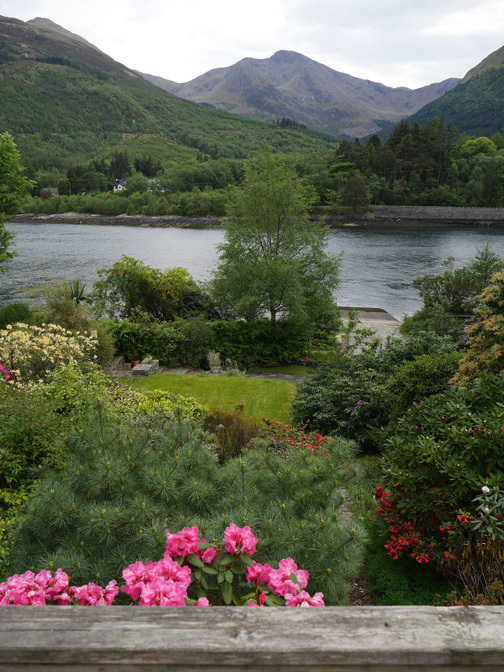 We have time to sit a while and enjoy the view up towards Glen Coe. 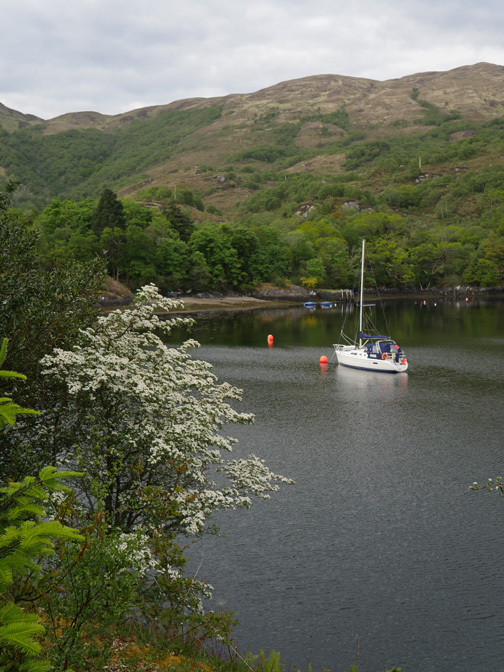 The white hawthorn is in full bloom . . .
. . . contrasting with the colourful trees and bushes at the hotel. In the evening we had a lovely meal and enjoyed looking at some of the old photos in the hotel. 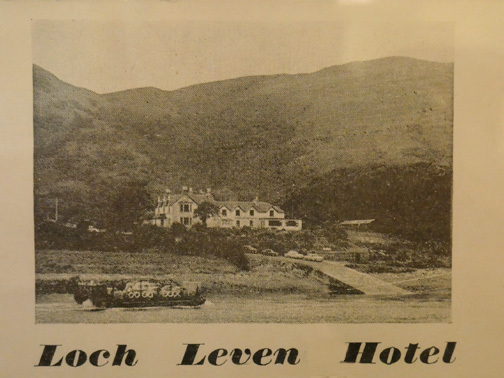 The Loch Leven Hotel and the ferry viewed from across the water. 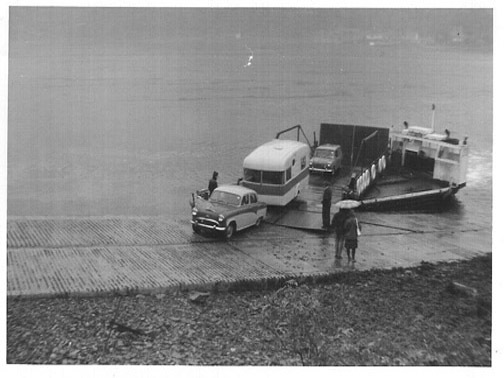 Strome Ferry, north of Ullapool, circa 1965. 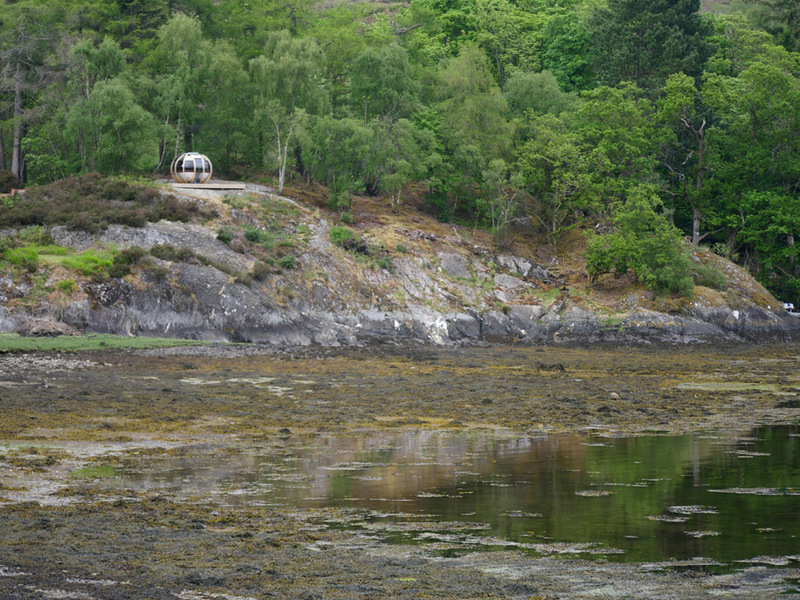 Kylesku Ferry, north of Lochinver, on the same holiday. 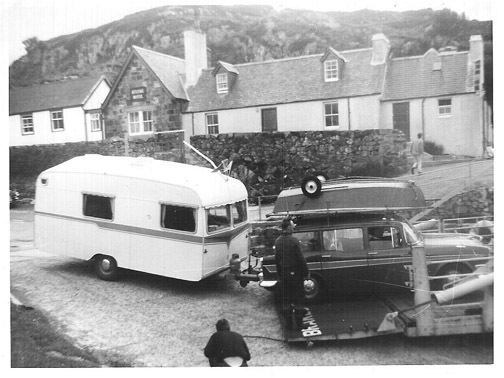 Digging back through the archives I found my old pictures, now 52 years old, of a caravanning Scottish holiday with my parents. 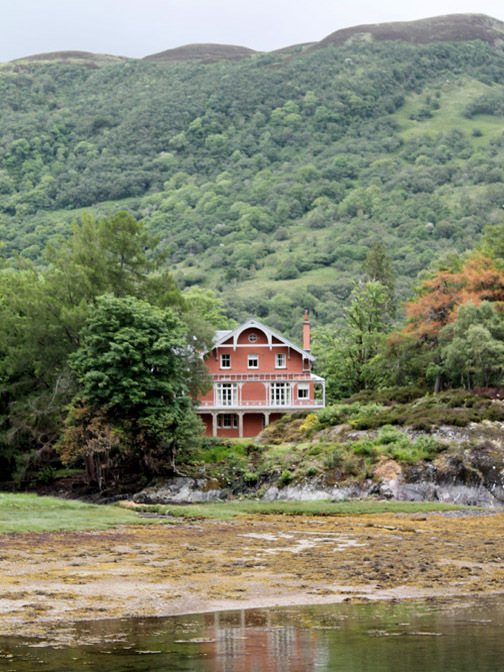 We used the ferry to cross here at Ballachulish but sadly have no equivalent "then and now" pictures of this particular crossing. 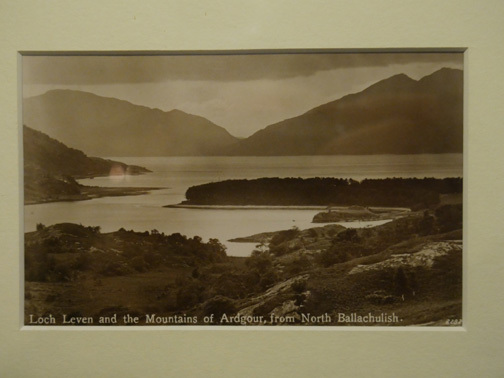 However these two may give you some idea of what it was like to travel the west coast of Scotland in the days before the bridges were built. 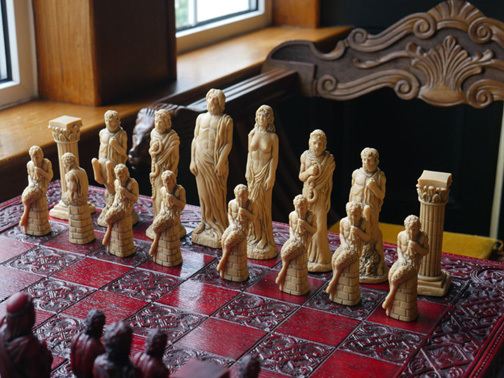 Coffee in the proverbial library/lounge afterwards . . .
. . . where they had an interesting Greek Mythology chess set. And so to bed . 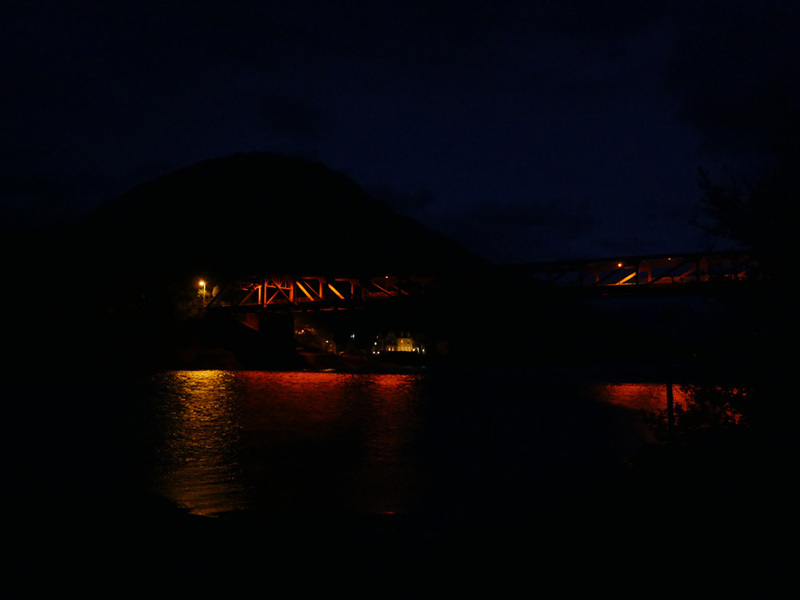 . . but not before one last view of the bridge at night. Saturday was a rainy morning and the first day that we experienced midges of any sort. walked the dogs for a few moments and were on our way. 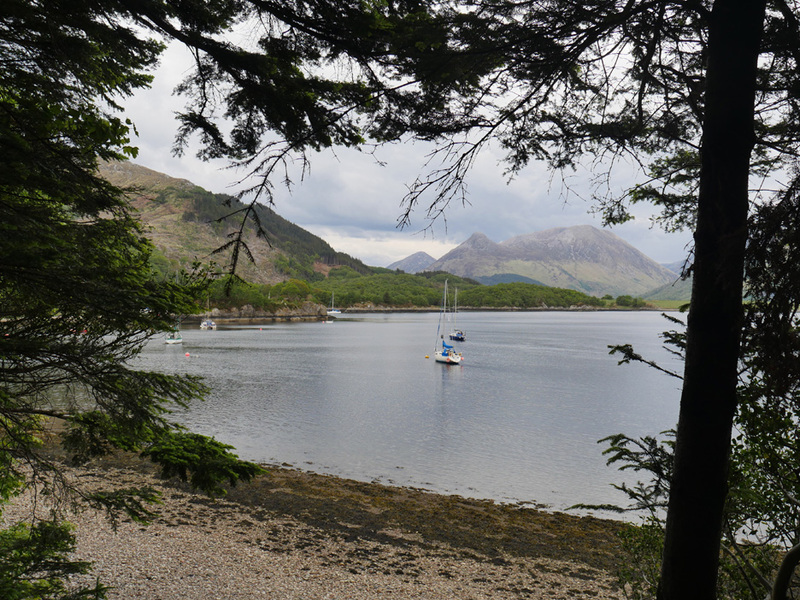 after a wonderful week on the Scottish Coast. If you've been following the story . . . thanks for joining us on our travels. Technical note: Pictures taken with either Ann's new Panasonic Lumix Tz60 Compact, or my Panasonic Gx8 Compact System Camera. Resized in Photoshop, and built up on a Dreamweaver web builder. This site best viewed with . 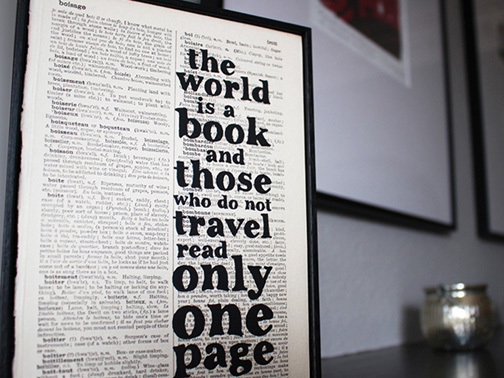 . . a proverb about travel.